Argentina head coach Lionel Scaloni says he is due to have discussions with Lionel Messi over a return to the national team. 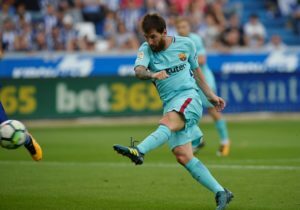 Former Brazil international Zico says Lionel Messi does not need to win the World Cup with Argentina to be regarded as an all-time great. Juan Roman Riquelme has urged supporters to allow Lionel Scaloni and his coaching team time to put their stamp on Argentina. 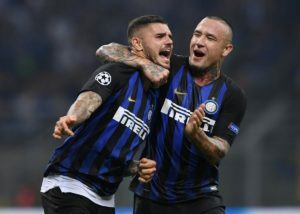 Former Argentina striker Gabriel Batistuta says the national team need to put their faith in Inter Milan's Mauro Icardi. Interim head coach Lionel Scaloni says he doesn't know if Lionel Messi will continue playing for Argentina. 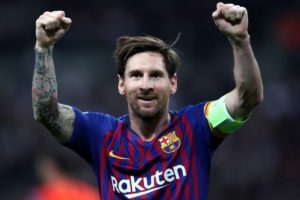 Diego Maradona feels Lionel Messi has become a scapegoat for the Argentina side and has urged him to quit international football. Argentina coach Lionel Scaloni claims he has not spoken to Lionel Messi about the future after omitting him from the national team. According to reports in Argentina, Lionel Messi will sit out his country's friendlies against Guatemala and Colombia in September. 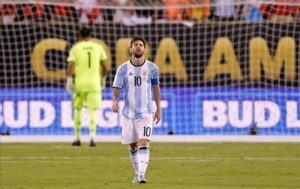 Argentinean FA chief Claudio Tapia concedes he was wrong to say the national team belonged to Lionel Messi. 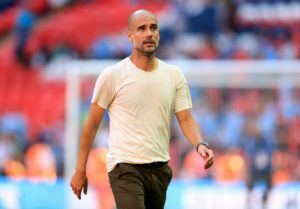 Manchester City boss Pep Guardiola says he's not been approached about the Argentina job and has no interest in taking over. 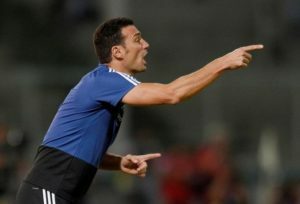 New Argentina interim boss Lionel Scaloni admits he is unsure whether he will continue to call up Lionel Messi for action. 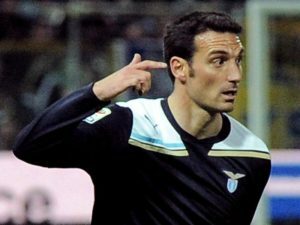 Argentina have announced former West Ham full back Lionel Scaloni as their new interim boss after Jorge Sampaoli left his role. 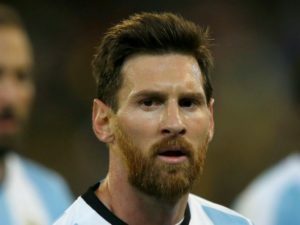 Carlos Tevez has urged Lionel Messi not to retire from international football following Argentina's dismal 2018 World Cup. 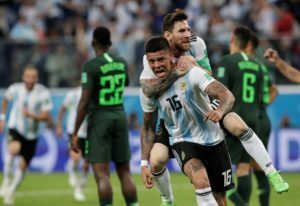 Marcos Rojo’s late strike fired Argentina to a 2-1 win against Nigeria and booked their place into the last-16 of the World Cup. 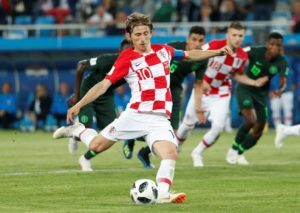 Nigeria will be looking to get World Cup revenge when they meet Argentina on Tuesday, with both still hoping to qualify from Group D.
Croatia confirmed their place in the last 16 of the World Cup with an impressive 3-0 victory against a desperately poor Argentina team. 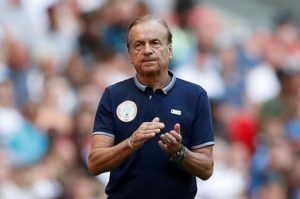 Argentina will have to respond following a shock Group D opening draw against Iceland when they take on Croatia in Nizhny Novgorod. 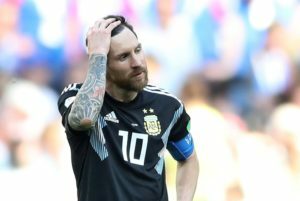 Lionel Messi says Argentina have not let their heads drop despite only managing a 1-1 draw against Iceland on Saturday. 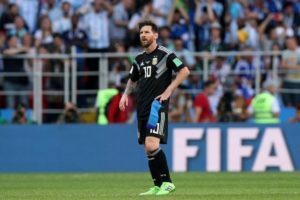 Lionel Messi had a penalty saved as Argentina began their World Cup campaign with an inauspicious 1-1 draw against Iceland in Moscow. Lionel Messi has said it's 'now or never' for him and Argentina at this summer's World Cup in Russia.